This tutorial is a 5 part series which goes through the basics of building a simple machine learning model to perform binary classification. Although this tutorial is aimed at beginners, basic background in statistics and programming can be beneficial. Machine learning is a field of artificial intelligence that uses statistical techniques to give computer systems the ability to learn from data, without being explicitly programmed. Learning can be classified into 3 types. Supervised Learning: There are classes assigned for output variables and algorithms learn to predict the output from the input data. Unsupervised Learning: There are not classes for output variables and algorithms learn to come up with a structure from the input data. Semi-Supervised Learning: Partially labeled data for output variables and requires a mixture of supervised and unsupervised learning techniques to be used. There are many algorithms to perform classification using supervised learning methods such as logistic regression, decision trees and random forests, to mention a few. 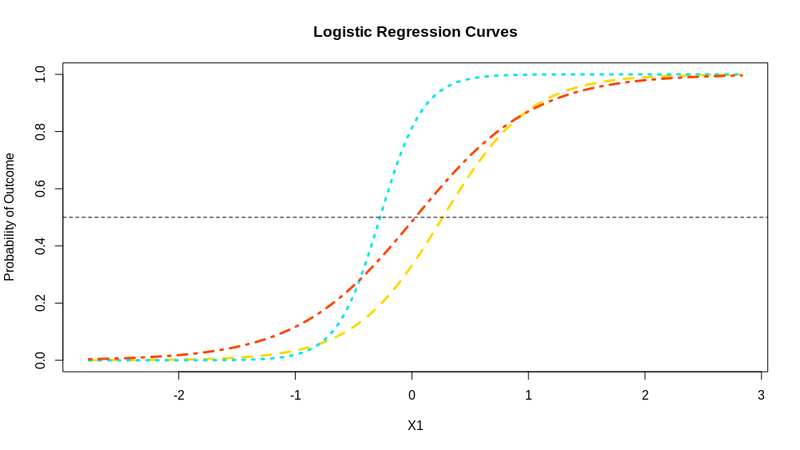 In this tutorial, we will see how to perform binary classification using logistic regression in Python. where b0 is the intercept, and b1, b2, .., bp are the coefficients of features x1, x2, .., xp, respectively. The image below shows how a logistic curve looks like. In this tutorial, we will consider a dataset where we need to predict if a person earns more than 50k using a given set of features. You can download the dataset from UCI Machine Learning Repository.